3.1. Monthly Free Consumption Management Some Country/Regions have policy that should offer Monthly Free Consumption Credit for each customer/family. 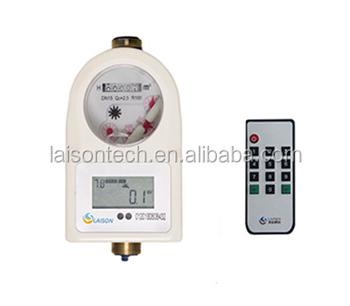 Thus LXSIC can support monthly free consumption management function, which means X m3/month water is provided to customers for free. 3.2. Daylight Saving Time (DST) RTC (Real Time Clock) in meter can be adjusted automatically forward a certain time when Daylight saving time starts, which is configured in “ Daylight saving time scheme ”, and will go backward certain time when daylight saving time ends.